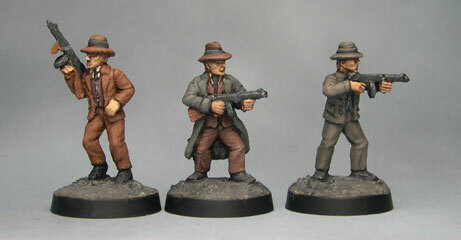 CP Models 20mm Prohibition era gangsters. These figures are available now from the web store. This entry was posted on Friday, January 23rd, 2015 at 15:25 and is filed under News. You can follow any responses to this entry through the RSS 2.0 feed. You can leave a response, or trackback from your own site. Those are really nice figures. Just right for ‘resistance’ and VBCW too………added to shopping list!